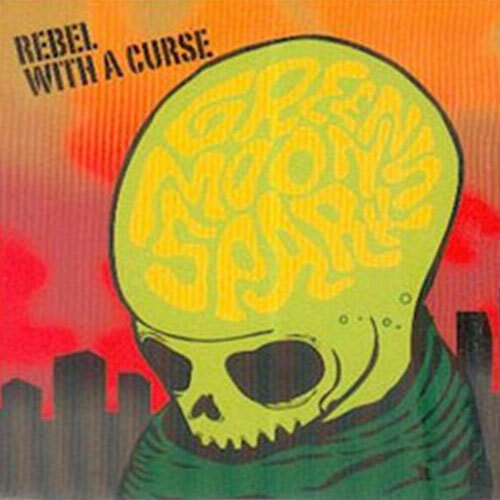 Hailing from the ancient city of Padova in Northern Italy, the Green Moon Sparks take a welcome stance: first and foremost, psychobilly should be fun. The self-mocking slogan 'stronzo band' amplifies this cheerful approach. Yet make no bones about their knack for spawning a wide range of rockin' goods. From hillbilly origins to early punk and beyond, this foursome taps into decades of subterranean splendor. 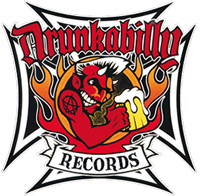 Meanwhile their psycho brew is flavor-enhanced by Toy Dolls tomfoolery plus Surf Rats and Scum Rats strut. The opening salvo of debut album 'Rebel With A Curse' is aptly baptized 'Rattle Brain'. The tone is set by the double bass rattle and howls from grimy vocal pipes, fit to deliver the vinegar over two-way guitar action. Sparks fly in twelve tuneful tracks, such as A Rockabilly Stole My Bike. Even more striking are reverberant twists on spaghetti westerns in a one-horse town where mariachi mooncalfs blow off steam for amphetamine. In the dead silence after the grand finale, one realizes why the rebel is cursed: this mutant rock & roll is far too addictive.